In 1962, a fire broke out in the coal mines of Centralia, Pennsylvania. The underground fire still burns today and is estimated to burn for the next 250 years. Now the town is almost entirely abandoned, smoke can be seen rising from the cracks in the pavement and the air is choked with sulphur fumes. 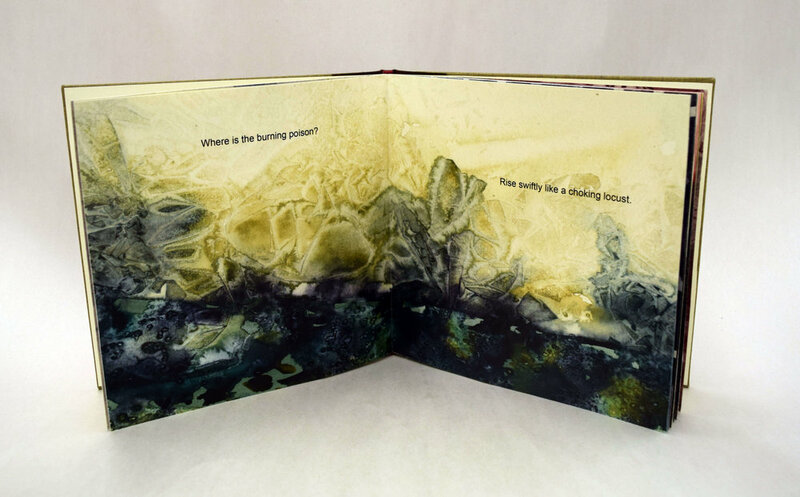 Centralia is a stacked-folio structure of a series of watercolor and salt paintings paired with poetry created by feeding news articles about the mine fire into an online poetry generator. The paintings were scanned and inkjet printed. 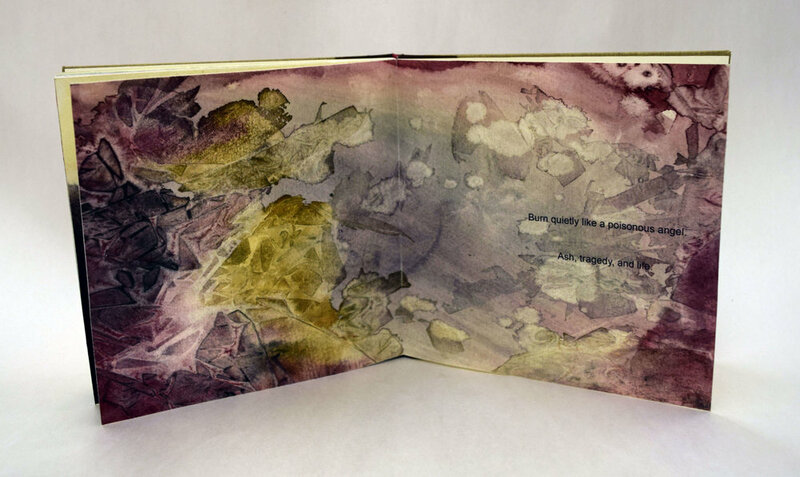 The book was inspired by using Julie Chen and Barb Tetenbaum’s Artist’s Book Ideation Cards and created for the exhibition An Ideation Experience curated by Abecedarian Artists’ Books in 2015.